Lansing McLoskey (b.1964) came to the world of composition via a somewhat unorthodox route. The proverbial “Three B’s” for him were not Bach, Beethoven and Brahms, but rather The Beatles, Bauhaus and Black Flag. His first experiences at writing music were not exercises in counterpoint, but as the guitarist and songwriter for punk rock bands in San Francisco in the early 1980’s. It was actually through these years in the visceral world of punk that he first developed a love for classical music (but that’s another story). Described as “a major talent and a deep thinker with a great ear” by the American Composers Orchestra, “an engaging, gifted composer writing smart, compelling and fascinating music…with a bluesy edge and infectious punch” by Gramophone Magazine, and “a distinctive voice in present day American music,” Lansing McLoskey has had his music performed to critical acclaim across the U.S. and in twelve other countries on six continents. His music has an emotional intensity that appeals to academic and amateur alike, defying traditional stylistic pigeonholes. He has won numerous national and international awards, most recently the prestigious 2011 Goddard Lieberson Award from the American Academy of Arts and Letters. In 2009 he became the first composer in the 45 year history of the ISU Contemporary Music Festival to win both the Indianapolis Chamber Orchestra Composition Competition and the “Music Now” Competition, both blind-juried national competitions with two independent juries. Among his other awards are the 2009 newEar First Annual Composition Competition, the Omaha Symphony International New Music Competition (First Prize), the Kenneth Davenport National Competition for Orchestral Works (First Prize), the Charles Ives Center Orchestral Composition Competition, Lee Ettelson Composers Award, Paris New Music Review International Composition Competition (First Prize), the SCI/ASCAP 2000 National Student Composition Competition (First Prize), the Charles Ives Scholarship from the American Academy of Arts & Letters, and an Astral Career Grant from the National Foundation for Advancement in the Arts. Among his commissions are those from Meet The Composer, the National Endowment for the Arts, Pew Charitable Trusts, The Fromm Foundation (as part of a special grant to Composers in Red Sneakers), ASCAP, the Barlow Endowment, Music At The Anthology for The New Millennium Ensemble, violist Leticia Oaks Strong of the Los Angeles Philharmonic, King’s Chapel (Boston), and many others. He has written for such renowned ensembles as The Hilliard Ensemble, Speculum Musicæ, The Crossing Choir and Dinosaur Annex. McLoskey’s music has been performed at two dozen music festivals, including the Piccolo Spoleto Festival, where he was one of the Composers-in-Residence. Recent performances include premieres in Boston, New York, Philadelphia, Rome, Chicago, Miami, and Melbourne, Australia, and performances at Aspen (where he was a Guest Composer), the International Contemporary Art Festival in León, Mexico, Tanglewood, and the XVIII International Jazz Festival in Lima, Peru. Current commissions include a concerto for Triton Brass and a consortium of wind ensembles for 2011/12, and a commission from the soundSCAPE Festival in Italy, where he will be the Composer-in-Residence in July of 2011. McLoskey completed a Ph.D. at Harvard University, where he directed The Harvard Group for New Music. He holds degrees with honors from UC Santa Barbara and the USC Thornton School of Music, with additional studies at The Royal Danish Academy of Music, the Wellesley Composers Conference, and the Advanced Masterclass at the Aspen Music School. His principle teachers were Mario Davidovsky, Stephen Hartke, Bernard Rands, and Donald Crockett. His book Twentieth Century Danish Music remains the only comprehensive research guide on the topic, and he was awarded the Haug Prize for Scandinavian Studies in recognition of his contributions to the field. 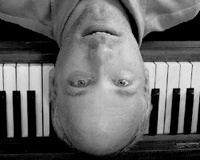 Currently McLoskey is an Associate Professor at the University of Miami Frost School of Music. From 2005-2009 he was Co-President of Composers in Red Sneakers, one of the oldest composer consortiums in the country, and he served a five-year term on the Board of Advisors of the Barlow Endowment for Music Composition. His music is released on Albany, Wergo Schallplatten, Capstone, Tantara, and Beauport Classics, and available from Subito Music and ACA Publishing. A monograph CD of his music - Sixth Species - was released to critical praise in 2008, and his award-winning orchestral work Prex Penitentialis will be released on Albany Records in April of 2011.